Emerald straw color. Aromas and flavors of caramelized apples and peaches, lemon sorbet, and frosted apricot pastry with an bright, fruity medium body and an engaging, breezy finish with soft, fruit tannins and no oak flavor. A deliciously fruity and engaging white wine that is sure to please. Bottom Line: A deliciously fruity and engaging white wine that is sure to please. 89 • Antler Hill 2014 Cabernet Sauvignon, Napa Valley 14.4% (USA) $49.99. 87 • Antler Hill 2016 Chardonnay, Carneros 14.2% (USA) $30.00. 89 • Antler Hill 2017 Chardonnay, Carneros 14.2% (USA) $30.00. 90 • Biltmore Estate 2015 Chardonnay, American 13% (USA) $12.99. 93 • Biltmore Estate 2015 Reserve, Chardonnay, North Carolina 13% (USA) $18.99. 86 • Biltmore Estate 2015 Limited Release, Pinot Grigio, American 13% (USA) $16.99. 88 • Biltmore Estate 2015 Pinot Grigio, American 12.5% (USA) $11.99. 90 • Biltmore Estate 2014 Sangiovese, American 14.2% (USA) $18.99. 89 • Biltmore Estate 2014 Petit Manseng, North Carolina 13% (USA) $17.99. 90 • Biltmore Estate 2014 Syrah, American 14.2% (USA) $16.99. 90 • Biltmore Estate 2015 Limited Release, Roussanne, American 12.5% (USA) $16.99. 87 • Biltmore Estate 2015 Wine Club Exclusive Release, Roussanne - Viognier, American 13% (USA) $24.99. 81 • Biltmore Estate 2015 Limited Release, Merlot, American 14.3% (USA) $19.99. 85 • Biltmore Estate NV Century Sweet Red, American 12.5% (USA) $15.99. 88 • Biltmore Estate 2013 Wine Club Exclusive, Cabernet Sauvignon - Cabernet Franc, Sonoma County 14.2% (USA) $29.99. 87 • Biltmore Estate 2014 Merlot, American 13% (USA) $14.99. 88 • Biltmore Estate 2015 Riesling, American 12.5% (USA) $13.00. 89 • Biltmore Estate 2015 Sauvignon Blanc, American 13% (USA) $13.00. 88 • Biltmore Estate NV Century Sweet White, American 12.5% (USA) $17.00. 89 • Biltmore Estate 2015 Limited Release, Chenin Blanc, American 12.5% (USA) $17.00. 90 • Biltmore Estate 2015 Pinot Grigio, American 12.8% (USA) $13.00. 86 • Biltmore Estate 2015 Merlot, American 13% (USA) $15.00. 83 • Biltmore Estate 2016 Dry Rosé, American 13% (USA) $15.00. 88 • Biltmore Estate 2015 White Blend, American 13% (USA) $15.00. 90 • Biltmore Estate 2014 Red Blend, American 14.3% (USA) $16.00. 90 • Biltmore Estate 2015 Pinot Noir, American 13% (USA) $17.00. 87 • Biltmore Estate 2016 Chardonnay, American 13% (USA) $15.00. 87 • Biltmore Estate 2017 Riesling, American 12.5% (USA) $13.00. 88 • Biltmore Estate 2017 Limited Release, Semillon, American 13% (USA) $19.00. 87 • Biltmore Estate 2017 Chenin Blanc, American 12.5% (USA) $13.00. 84 • Biltmore Estate 2017 Limited Release, Gewurztraminer, American 13.0% (USA) $17.00. 91 • Biltmore Estate 2016 White Blend, American 13.0% (USA) $15.00. 86 • Biltmore Estate 2015 Vintage Blanc de Blancs, North Carolina 12.5% (USA) $50.00. 84 • Biltmore Estate NV Cardinal Crest Red Blend, American 13% (USA) $15.00. 86 • Biltmore Estate 2017 Dry Rosé, American 13% (USA) $15.00. 85 • Biltmore Estate 2017 Sangiovese, American 14.2% (USA) $19.00. 84 • Biltmore Estate 2017 Reserve, Viognier, North Carolina 13% (USA) $24.00. 91 • Biltmore Estate 2016 Limited Release, Tempranillo, American 13% (USA) $24.00. 89 • Biltmore Estate 2017 Chardonnay, American 13% (USA) $15.00. 88 • Biltmore Estate 2018 Chenin Blanc, American 13.5% (USA) $13.00. 84 • Biltmore Estate 2018 Pinot Grigio, American 13.5% (USA) $13.00. 84 • Biltmore Reserve 2015 Viognier, North Carolina 13% (USA) $18.99. 91 • Biltmore Reserve 2016 Chardonnay, North Carolina 13% (USA) $19.00. 90 • Biltmore Reserve 2017 Reserve, Chardonnay, North Carolina 13% (USA) $24.00. 85 • Vanderbilt Reserve 2014 Cabernet Franc, Dry Creek Valley 14.1% (USA) $26.99. 91 • Vanderbilt Reserve 2014 Merlot, Dry Creek Valley 14.6% (USA) $26.99. 89 • Vanderbilt Reserve 2014 Cabernet Sauvignon, Dry Creek Valley 14.2% (USA) $26.99. 93 • Vanderbilt Reserve 2014 Reserve, Cabernet Franc, Dry Creek Valley 14.1% (USA) $27.00. 85 • Vanderbilt Reserve 2014 Reserve, Cabernet Sauvignon, Dry Creek Valley 14.2% (USA) $35.00. 93 • Vanderbilt Reserve 2016 Cabernet Sauvignon, Alexander Valley 14.8% (USA) $35.00. 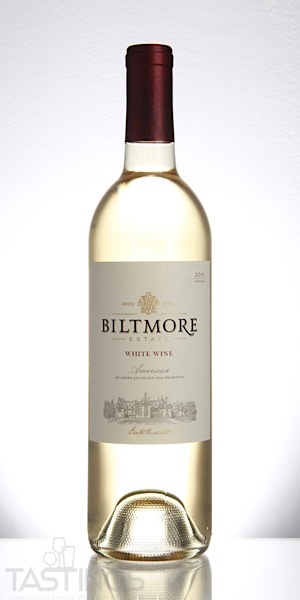 Biltmore Estate 2016 White Blend, American rating was calculated by tastings.com to be 91 points out of 100 on 11/5/2018. Please note that MSRP may have changed since the date of our review.